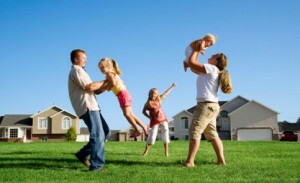 JMI Insurance provides extensive insurance coverage and plans to protect your home. We work with you to make sure that the insurance policy you choose has the coverage that you are looking for at the price you can afford. Having a local and reliable insurance agency is a concept that most people have not enjoyed. Our loyal customers get all the benefits and the best rates without the headaches. When you call JMI Insurance you will speak to a real person located right here in Portland, Oregon. Call JMI Insurance to find dozens of home insurance options. A: As an independent insurance agency we do not work for the insurance carriers, we work for you the customer. We all take insurance for granted, but when it comes time to make a claim, we want to be covered. Insurance can be confusing, but it does not have to be that way. We are always here to explain your coverage and to find a policy to suit your exact needs. We take the time to make sure your covered with a policy that not only fits your exacting requirements, but your pocket books as well. We do business with many different insurance carriers so we can find the best insurance for you, at a price more competitive than any non-independent insurance agency! Give us a try and you can have a friend in the insurance industry!